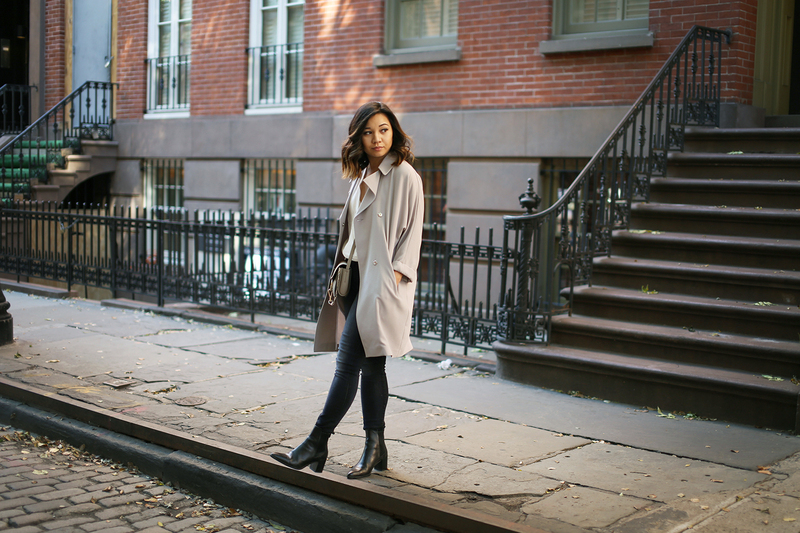 This Topshop Duster Coat always comes in handy during the transitional months. Whether I'm going from Summer to Fall or Spring into Summer, I always love bringing out this piece to layer over simpler looks. Worn over this white blouse courtesy of Lovers + Friends, it was the perfect look for a day of getting lost in the city. 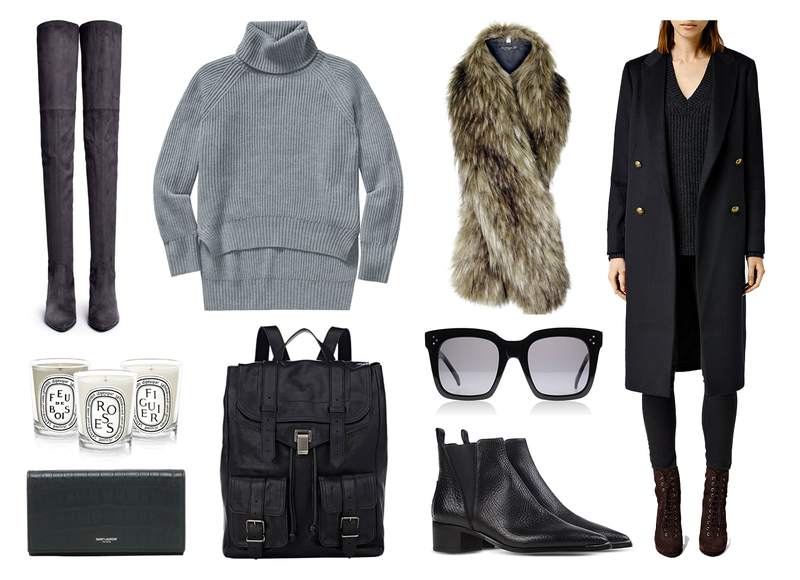 Since the last "coveting" post, I've crossed the Aritzia sweater-coat and Céline bag off the list. Now that the weather is getting a little cooler, I've got my eye on some darker pieces. 1. Stuart Weitzman AllLegs Over-The-Knee Boots, or the Highlands. 2. Diptyque candles. 3. Saint Laurent wallet. 4. Aritzia Lin sweater. 5. Proenza Schouler PS1 Backpack. 6. Topshop Stole. 7. Céline sunglasses. 8. ACNE Studios Jensen boots. and last but not least, actually one of the pieces I want most, 9. AllSaints Baye Coat. The simpler, the better. 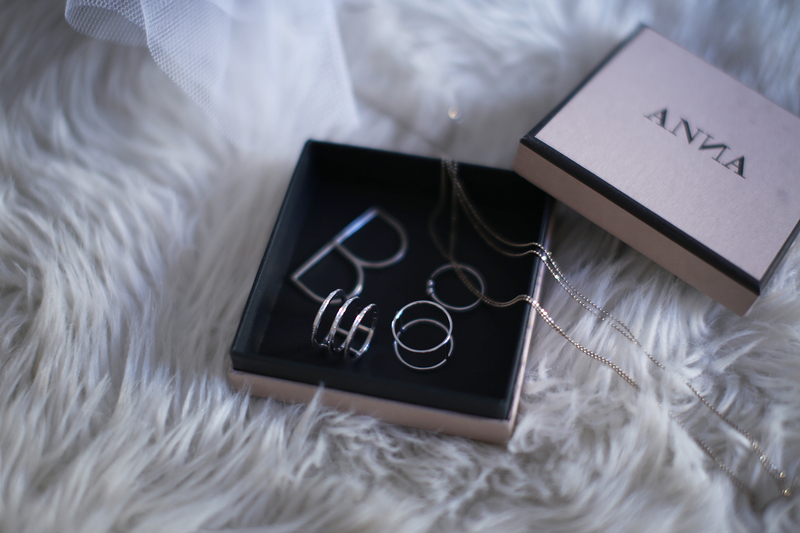 Anna Inspiring Jewellery creates beautiful pieces that can cater to everyones style, and with mine being all about those delicate and dainty pieces, these certainly took my breath away. Anna Inspiring Jewellery offers many different styles of bracelets, earrings, necklaces, and rings, even some custom made pieces. Started by Anna Singer in Vienna, Austria in 2009, the company has grown and expanded over the years with now a location in New York City that just opened last year. 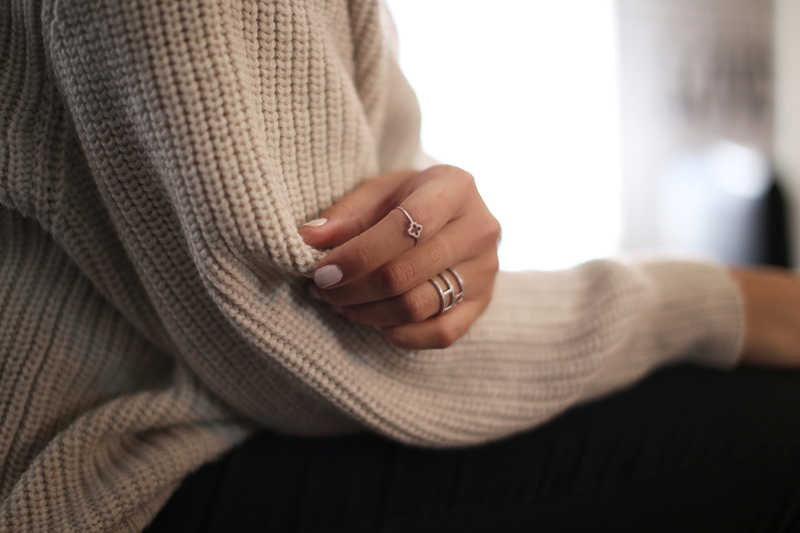 The simple pieces that I selected reflected my appreciation for the beauty in simplicity, the exact definition of these rings and white gold chain. 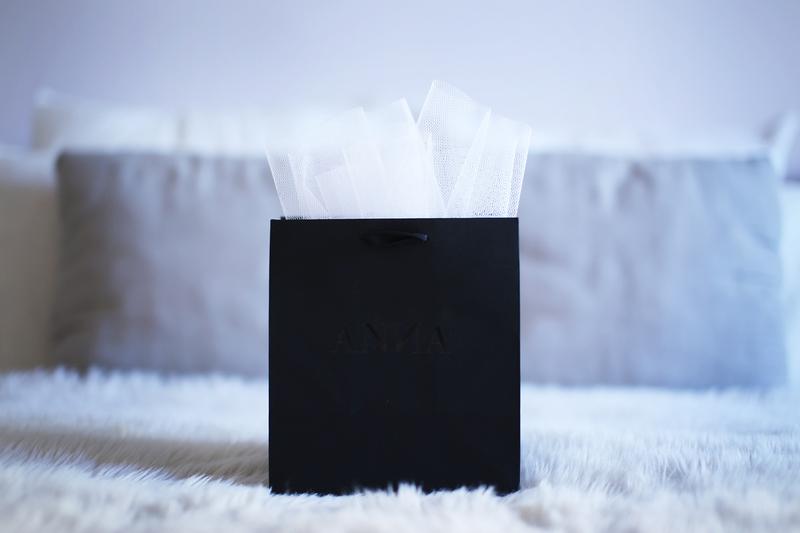 Whether it's for a casual daytime look or to add a little shine to an evening event, Anna has certainly made me fall in love. Check out their collection here, you won't be disappointed. Leathers are always pieces worth investing in, whether it be boots, a bag, or that jacket you've been lusting over forever. I'm happy to bring my Mackage back out from the depths of my closet, paired with one of my favorite bags, and my Zara booties. Fall is the perfect season to get the most use out of these investments, and in my case, all three elements are worked into this outfit. This Maurie & Eve jumper added a flirty detail with the deep neckline, perfect for transitioning from summer into fall.